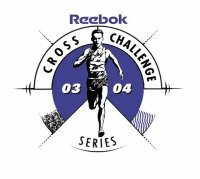 Alex won the Reebok 2003/2004 series, with 115 points. Alex Derricott was 3rd in the U17s race at the Reebok Cross Challenge race in Falkirk. Kristopher Gauson (City of Edinburgh AC) and Sam Godfrey pushed hard together to eventually drop last year's Under 15 Reebok Cross Challenge Series winner Alex Dericott (City of Stoke), last year's AAA Under 17 800m winner and current Scottish Under 17 road title holder Mark Mitchell (Forres Harriers) and Mark Burgess (Dundeed Hawkhill Harriers). Kris attacked the final hill but was chased hard for the remaining 1000m to the finish and had to use his track speed down the final straight to ensure a win. Alex won the U17s race at the Reebok Cross Challenge race in Birmingham. 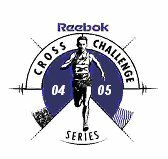 With the top four from the first Reebok Cross Challenge in Falkirk all running in Birmingham, a highly competitive race was expected. Towards the end of the first lap in the two lap race, Alex Derricott began to pull away from Mark Bailey (Southend-on-Sea), Conor McNulty (Kilbarchan AAC), Lee Carey (Nuneaton Harriers), Craig Peters (Bristol & West) and Mark Burgess (Woodford Green & Essex Ladies). Derricott then continued to pick up the pace and maintained the lead through to the line, winning by six seconds in a time of 19:31. After the race Derricott said: “I didn’t want to take it on but I felt that we were not going fast enough, so I had to do it. Before the race I thought that a top five finish would be good but once I got in the front I just kept going. He added : "I didn’t expect the win as the field was better than in Falkirk where I was third. I liked the hills and water jump, this is one of the best Reebok races”. Derricott’s run earned him the accolade of ‘Perfomance of the Day’ from Mick Woods, UK Athletics Endurance Performance Centre Manager at St Mary’s Twickenham. Woods said: “Alex dominated the race and comfortably ran away from the field. As a first year in this age group, this was a really impressive performance”. Pre-race: In the Under 17 Men’s race, on current form David McCarthy (West Waterford) starts as favourite; runner-up to Conor McNulty at Parliament Hill. McNulty doesn’t start this time; the challenge will come from Lee Carey (Nuneaton Harriers), Jon Pepper (Enfield & Haringey) and current leader in the standings Alex Derricott (City of Stoke AC), who won convincingly in Birmingham. Alex was 4th in the U17s race at the Reebok Cross Challenge race in Liverpool. Pre-race: The top two in the Under 17 Men’s Series rankings will be fighting it out in the Under 17 Men’s race. Alex Derricott (City of Stoke AC) currently leads the rankings having won in Birmingham, where he was awarded ‘performance of the meeting’, and finished third in Falkirk. Sam Godfrey (West Suffolk AC), who finished ahead of Derricott in Falkirk, consolidated his position with a fifth place in Birmingham. Alex was 2nd in the U17 men's race at the Reebok Cross Challenge race in Belfast. Kilbarchan’s Conor McNulty added to his victory at Parliament Hill by running away with the Under 17 race. Last year’s Under 15 Reebok Series Champion, Alex Derricott of City of Stoke, came through well on the second lap and took second with Godfrey not far behind. It was an effort that will keep Derricott, winner at Birmingham, at the top of the standings. Alex finished 7th representing England in the Junior Men's 6km race at an international meeting in Elgoibar, Spain.